The Spacesaver ® , first designed and patented by IDC, is a fundamental innovation in electric locking technology for access control applications. The stainless steel bolt projects at right angles to the lock mechanism, allowing installation of Spacesaver ® locks, by means of a simple cutout, in virtually any standard 1.5" frame, or in most door lock stiles. 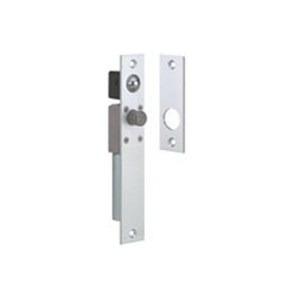 With the entire lock concealed, esthetic acceptability is complete, security is greater and installation in old or new construction is fast, easy and economical.